Plan your trip back in time to the American western frontier of 1880 with this illustrated guidebook. Forget what you've heard about mining accidents, dust storms, and the murder rate; the railroads have been established, cattlemen are fencing in the range, and the west won't stay wild for long. Gleaning contemporary newspapers and travel memoirs, National Geographic Traveler founding editor Joan Tapper here offers advice on the cleanest boarding houses and filthiest saloons, what to eat, what to wear, who to meet (and who to avoid), and how to get out of Dodge in a hurry if you fail to spot the difference. 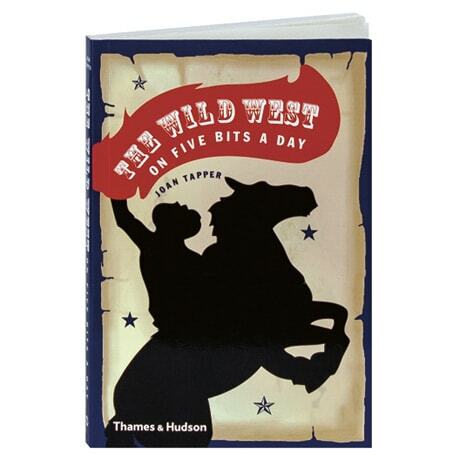 Tapper advises on how to travel and explore on horseback, by stagecoach, and on the rails; visit Dodge City, Deadwood, Fort Laramie, and other "must-see" locales; witness gunfights and cattle roundups; and don a special "Yosemite suit" to ride out to marvel at the giant redwoods and dazzling rock formations.